What? The Rib Room has recently launched a cigar and spirit pairing menu. 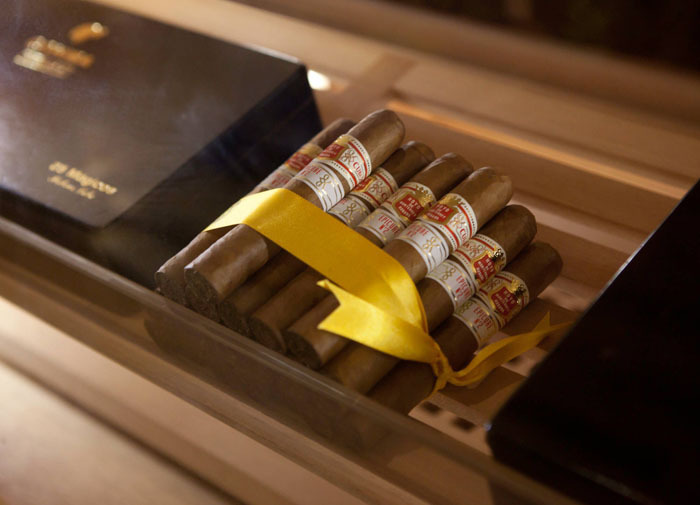 A selection of fine spirits have been chosen by the Head Sommelier Louis Gordon to match cigars from the restaurant’s humidor. Pairings include Cohiba Maduro Genios with Zacapa 23 Year Old rum and Padron 1964 Anniversary Series Torpedo with Johnnie Walker Double Black. Prices vary and are separate for cigar and spirit.